Live in the lap of luxury at Aspire Pinnacle Peak Apartment Homes in Phoenix, AZ! With beautiful apartments and outstanding amenities, you’ll never want to leave this wonderful community. At Aspire Pinnacle Peak, you can choose between 12 different elegantly designed apartment homes that come in 1, 2 & 3-bedroom spacious floor plans. 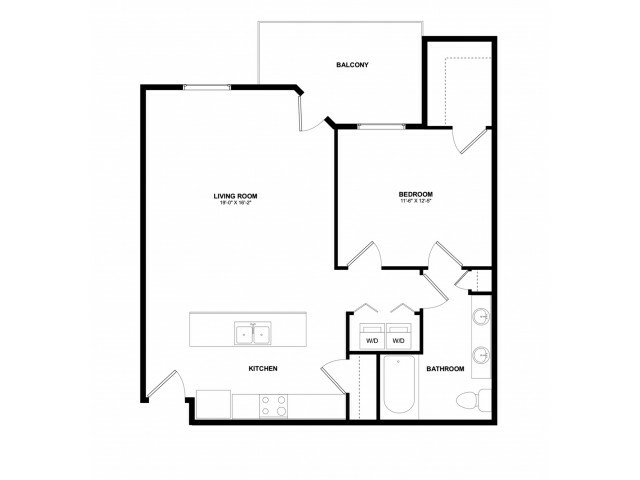 Our units come equipped with modern kitchen appliances, gorgeous track lighting fixtures, private patios and balconies, and a full-sized washer/ dryer in every unit. Our community amenities are equally luxurious with stunning mountain views, pristine landscaping, and breath-taking pool. Be sure to take full advantage of our state-of-the-art fitness center and free yoga & Pilates classes offered weekly! Aspire is a pet-friendly community, so your dog is sure to love our on-site pet agility park. Aspire is also in a great location. We're just minutes away from extraordinary shopping, dining, and entertainment destinations. A few you have to check out are Deem Hills Recreation Area, Arrowhead Country Club, and Wet 'n' Wild Phoenix, an adventure-filled waterpark with slides and splash pads. Our property is nearby the I-17, Loop 101, the Shops at Norterra, and Deer Valley. If you’re looking for an upscale apartments for rent and a high-end community experience, Aspire Pinnacle Peak is the place for you. Schedule your tour with us today and let us help you find your perfect new home! Cats accepted. Small/medium dogs under 16 inches tall accepted. Breed restrictions apply. Please contact the property office for additional information regarding pet fees, deposits, & rent.